The game presents the characters from the famous series Double Dragon, Billy and Jimmy - two young martial arts experts. Also included are three humanoid toads from the Battletoads game. 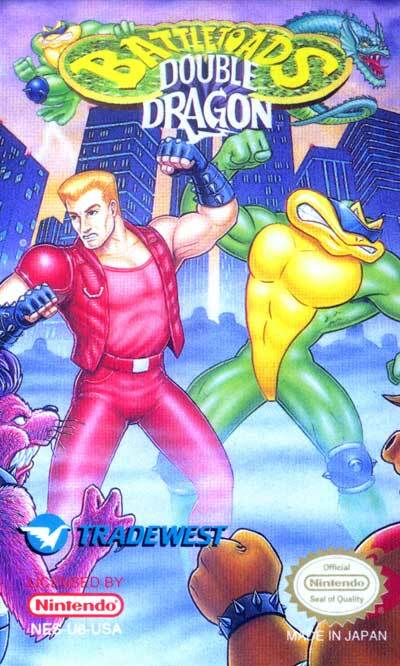 The characters, including enemies, are mostly from the Battletoads game. In the beginning of the game, the player must choose between the five hero-characters: Billy, Jimmy (humans), Zitz, Pimple or Rash (toads). Then, the chosen character must walk through different scenarios, kicking and punching each enemy which comes onscreen. Like many such games, a boss is included at the end of each stage, which challenges the player before they can progress to a higher level of the game.